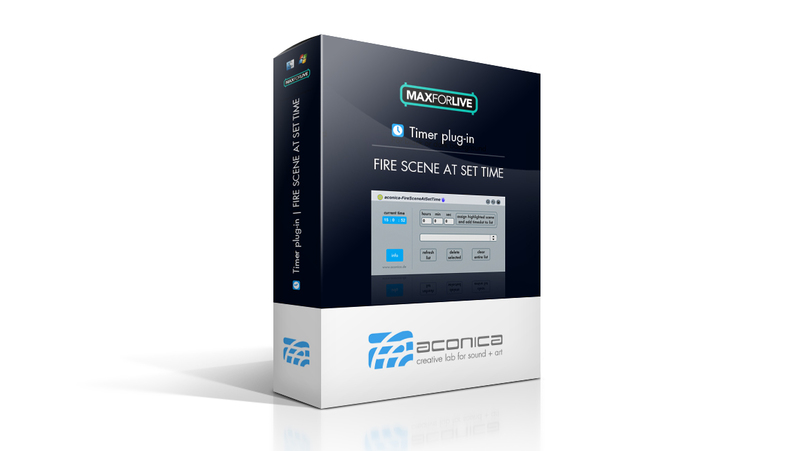 The Max for Live plugin FIRE SCENE AT SET TIME is a simple timer plugin. It enables you to program specific times at which scenes in Ableton Live are triggered. This is especially useful when scenes at intervals of a few hours should start automatically. Below you will find an example that illustrates our approach in the context of a generative sound installation. MaxForLive is a tool kit, based on Max/MSP, for building new devices for Ableton Live. Max/Msp is a visual programming language for music and multimedia developed and maintained by San Francisco-based software company Cycling ’74. During its 20-year history, it has been widely used by composers, performers, software designers, researchers, and artists for creating innovative recordings, performances, and installations. For the LINDE Group, we developed and designed a few generative sound installations in the context of their Management Conference 2012 in Shanghai. Therefore, we have developed a generative system with the help of Ableton Live and Max for Live. It’s described as “generative” in that the system produces an ever-changing collage of sounds and music (you could also think of it in terms of modular components). Within a set of parameters, the computer composes ever-changing materials. We also used our timer plugin FIRE SCENE AT TIME SET, which triggers the corresponding scenes automatically depending on the time of day.